If your day stresses your feet, the Edge can give you a comfortable advantage. 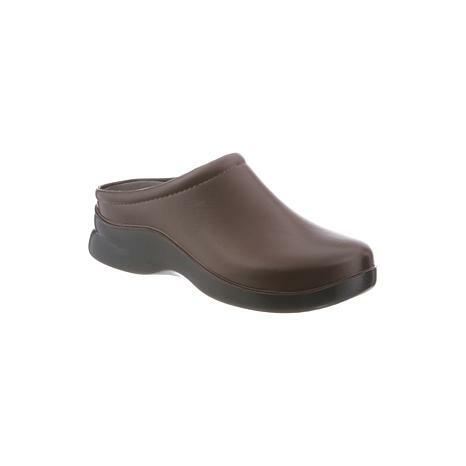 Smooth, lightweight and open-heeled, the Edge is flexible and free of frills, but it offers excellent arch support, superior cushioning and all-day comfort. 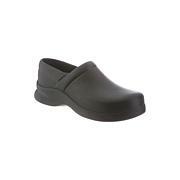 Removable, odor-resistant footbeds cushion pain points and reduce foot fatigue. Slip-resistant outsoles, rated by the ASTM F489-96 standard, provide superior traction in wet and oily environments. They're also non-marking and shock absorbent, making the Edge a great choice for work environments.